PST2010, the eighth annual international conference on Privacy, Security, and Trust (PST) will be held August 17-19, 2010, on the University of Ottawa campus in Ottawa, Ontario, Canada. PST2010 has two major components: a one-day symposium (Innovation Day, August 17) and the PST Research Conference (August 18-19). PST2010 is organized by the University of Ottawa (UO) and the University of New Brunswick (UNB) in cooperation with the National Research Council of Canada Institute for Information Technology (NRC-IIT), the Information Technology Association of Canada (ITAC), and the Canadian Advanced Technology Alliance (CATAAlliance). The IEEE Computer Society is the technical co-sponsor. The PST2010 Research Conference (August 18-19) will feature keynote talks, the presentation of refereed research papers and the conference banquet. Chris DeJager , CAE Inc.
Bill St. Arnaud was the former Chief Research Officer for CANARIE Inc., Canada's Advanced Internet Development Organization. At CANARIE Bill St. Arnaud was responsible for the coordination and implementation of Canada's next generation optical Internet initiative called CA*net 4. He was also instrumental in developing Canada's cyber-infrastructure strategy linking together advanced networks, high performance computing and instrumentation to enable a new generation of eScience. He was the principal architect of the User Controlled LightPath technology applying Service Oriented Architecture to allow users to create their own Internet network and cyber-infrastructure solutions. Currently he is involved with a Green IT broadband and cyber-infrastructure initiative to build a "zero-carbon" next generation Internet and to work with clients to identify new business opportunities in a future low carbon economy. These projects are intended to help reduce global warming by reducing CO2 emissions at universities, businesses and society in general through the use of ICT and networks. He is working with various R&E networks and industry partners around the world to develop new Green IT revenue strategies and to explore how these networks can become the linchpin of building a low carbon economy. In pursuit of these objectives he was successful in developing several research partnerships in green cyber-infrastructure and networking between Canadian and Californian universities under the CCSIP program. As well he is working closely with several international R&E networks and industry participants to explore the development of a next generation wireless “5G” network that will provide a national, if not international low cost, green cell phone service for students and faculty that will be seamlessly integrated with today’s R&E backbone networks. Previously Bill St. Arnaud was the President and founder of a Toronto based network and software engineering firm called TSA ProForma Inc. TSA was a LAN/WAN software company that developed wide area network client/server systems for use primarily in the financial and information business fields in the Far East and the United States. Bill St. Arnaud is a past and present member of various committees and boards including the Board of Trustees for ISOC, NomComm committee for ICANN, the UKlight Steering Committee, the GLORIAD policy committee, Neptune Canada DMAS Committee, Globecomm Fellow and the GLIF policy committee amongst others. He has also participated in many NSF, CFI, EC and NSERC project review and strategic planning committees. In 2002 he was featured by TIME Magazine Canada as the engineer who is wiring together advanced Canadian science. In 2005 he won the World Technology Summit award for Communications. In June 2010 he received an Honorary Doctorate of Science from the University of Athabasca in recognition of his contribution to the advancement of research and education networking in Canada and his leadership in promoting Green ICT for a low carbon economy. He is also the recipient of the ORION Leadership Award for 2010. Bill St. Arnaud is a frequent guest speaker at numerous conferences on the Internet and research and education networking. He is a graduate of Carleton University School of Engineering. Chief Research Officer, CANARIE Inc. At CANARIE, St. Arnaud led the development, coordination and implementation of the world’s first national optical R&D Internet network, CA*net3. He was also the chief architect of CA*net4. Alex Langshur is founder and CEO of PublicInsite, an Ottawa and Boston-based web analytics, optimization and marketing consulting firm. Alex established PublicInsite because he saw a tremendous need for a bridge between those who manage online data within organizations and those for whom the insights arising from the data have the most value. He brings many years of leadership in IT and eBusiness and has led major web analytics and optimization initiatives for public sector organizations at the international, national and municipal levels, as well as major non-profit, private sector and education organizations. Through this experience, Alex has become passionate about helping his clients understand the meaning and business value within the numbers, and optimizing the connection between each client’s unique vision and marketing needs and the online behavior and desires of its most important stakeholders. In addition to his active role in all aspects of PublicInsite’s operations including research and development, product development and client-side activities, Alex is focused on maintaining a strong PublicInsite team that shares his vision for giving a human dimension to online data. Alex is a sought after speaker and is the President of the Web Analytics Association (WAA), on the Advisory Board of the eMetrics Marketing Optimization Summit, and a Board member of LEAD Canada. He teaches highly rated courses on web analytics for GSA Web Manager University and WAA Base Camp, and has been frequently published in journals and magazines. Alex lives in Boston with his wife, two sons and golden retriever. TOPIC: A special briefing of national intelligence estimates for the current Cyber threat to Canada based upon evidence-based analytics gathered directly from the Internet core over the last 12 months. The brief will also cover the enterprise security architecture model used at the 2010 Olympics to successfully combat persistent, sophisticated, country-crushing attacks. BIOGRAPHY: David McMahon has an honours degree in computer engineering from the Royal Military College of Canada and has spent the last 25 years with the military, intelligence and security community both in the public and private sectors. Dave is a widely published author on the subject of the Cyberthreat, and proactive cyber defence. Dave McMahon is currently an adviser for National Security programs in Bell Canada. Sonny Lundahl has over thirty years of building IT systems. He has extensive expertise in Information Technology project management, design and deploying software Applications. Mr. Lundahl together with two partners founded AMITA and has overseen the creation and technology growth of AMITA Corporation as an international company providing IT services, innovation-based research projects and commercial software products that focus on public safety and emergency management security solutions. AMITA serves the requirements of government, health care, and public safety and emergency management agencies in the areas of counter-terrorism, IED, surveillance, mass casualty triage and CBRNE incidents. Darrell coordinates Black Coral's engineering and development efforts. He is responsible for providing technology vision, managing and leading software development, and technology acquisition at Black Coral Inc. Darrell has deep expertise in applying technology for incident management and situational awareness, particularly with integrated mapping/geospatial capabilities. Systems that he has created have been used to prosecute well in excess of 100,000 incidents worldwide for military and homeland security customers. Prior to joining Black Coral, Darrell was a founder at Digital Space Systems, which was acquired by EMS technologies (NASDAQ: ELMG) in 2000. Mr. Chris DeJager is the Director, Global Business Synergy for CAE Professional Services. Mr. DeJager has been involved primarily in geospatial interoperability and emergency management systems and programs, and leads the Public Safety and Security group for CAE. Mr. DeJager holds a B.Sc. in Biogenetics for York University, a post-graduate degree in Cartography from the College of Geographic Sciences and an MBA from Ottawa University. Mr. DeJager has held several positions through the GeoConnections Program acting as systems architect and application specialist for the CGDI. In 2005 Mr. DeJager was part of the Canadian Delegation to the UNEP-OCHA 6th annual general meeting in Geneva Switzerland presenting Canada’s Environmental Emergency management System. Most recently Mr. DeJager has been the primary design architect for the Multi-Agency Situational Awareness System and is leading a global team to develop integrated simulation based analysis, training and operational decision support centers around the world. Joel Martin is a Senior Research Officer at NRC and has been the group leader of the Interactive Information group since 2001. He received his Ph.D. in Computer Science from Georgia Institute of Technology in 1992 for a thesis on Machine Learning. Dr. Martin has over 40 refereed publications, has an h-index of 15, received a best paper award, served on the editorial board for an international journal, served on multiple NSERC committees, and participated in multiple research grants. Dr. Martin's efforts have been recognized by two NRC-level awards and, in 2009, his team received a national award from the Federal Partners for Technology Transfer. Dr. Martin's expertise includes text mining, machine learning, computational linguistics, information retrieval, Bayesian nets, and probabilistic reasoning. His current work focuses on applications of text mining and natural language processing applied to medical texts. Dr. Martin's primary interest in privacy, security, and trust is the balance between on the one hand, individual privacy of medical records and on the other the public good and security that arise from research and surveillance of those records. Inspector Lance Valcour (Ret) O.O.M. Inspector Lance Valcour O.O.M. retired from the Ottawa Police Service in February 2010 after 33 years of service and is currently on contract with the Canadian Police Research Centre, part of the Defence Research Development Canada’s Centre for Security Science, where he leads the national interoperability program, spearheaded by the Canadian Interoperability Technology Interest Group (CITIG). Inspector Valcour has extensive Incident Command, Leadership, Investigative, Strategic Planning and Technology Program/Project Management experience at the national and international levels. He works cooperatively with numerous national and international strategic organizations such as the Canadian Associations’ of Chiefs of Police, Fire and Emergency Medical Services, International Association of Chiefs of Police and the National Public Safety Telecommunications Council, often in a leadership role. He also works closely with government and non-governmental departments and agencies in both Canada and the United States to effectively plan, lead, support and foster major projects and initiatives, primarily in the information sharing and public safety interoperability fields. On May 26th, 2010 Lance was invested as an Officer of the Order of Merit of the Police Forces by Her Excellency the Right Honourable Michaëlle Jean, Governor General of Canada. This investiture recognizes Lance's lifetime of achievement, conspicuous merit, and exceptional service to our nation. In 2009, Dr. Jean Luc Bérubé joined Communications Research Centre Canada as Vice-President of Broadband Network Technologies Research. Dr. Bérubé brings to CRC an in-depth knowledge of technology R&D combined with over twenty years of experience developing and marketing technology in a highly competitive, business-driven milieu. Dr. Bérubé has a proven track record in managing the human and technological issues inherent in complex telecommunications R&D projects. His ability to foresee client needs, then build award-winning teams to develop solutions, has lead to the launch of new technology and products, and has been key to expanding markets and increasing sales for some of Canada’s foremost electronics firms. Dr. Bérubé began his career in 1984 as a design engineer with Canadian Marconi Company where he pioneered the use of field programmable gate arrays (FPGA). In 1993 he joined Nortel, leading teams designing advanced telecommunications equipment. With a move to Motorola in 1997, Dr. Bérubé worked closely with both Motorola clients and the company’s product development specialists to ensure that product planning and customer needs were tightly aligned. Motorola captured almost 100% of the market share during this period. Following Motorola, Dr. Bérubé moved to Altera Corporation as Senior Manager, Field Application Engineering where he oversaw both applications and market development for the Canadian wireless and broadband network communications sectors. His dual focus on building successful teams and product-development driven by a careful analysis of clients’ current and future needs, led to a doubling of Altera’s market share with targeted clients, as well as a doubling of total regional sales, all within a five-year period. Dr. Bérubé holds a B.Sc. in Electrical Engineering from the University of New Brunswick in Fredericton, N.B., an M.Sc.A. (Génie électrique, 1987) from Montréal’s École Polytechnique, and a Ph.D. in Electrical Engineering (1995) from the University of New Brunswick. After four years of industrial experience mainly at Bell-Northern Research (BNR), Dr. Hussein T. Mouftah started his academic career as an Assistant Professor in the Department of Electrical and Computer Engineering at Queen’s University in 1979. In 1988 he became full professor there and from 1998 until 2002 he was Associate Head for the Department. In 2002 he has been a Tier 1 Canada Research Chair Professor at the University of Ottawa School of Information Technology and Engineering where in 2006 he became a Distinguished University Professor. During his sabbatical leaves, he did consulting work for BNR and Nortel Networks (1986-87; 1993-94; and 2000-01). Dr. Mouftah has published over 850 technical papers, 6 books and 30 book chapters. To his credit he has 10 patents and 138 industrial reports. He has received research grants and contracts totalling close to $30 million and he has supervised more than 200 highly qualified personnel of which 88 are Master’s and 59 are PhD graduates and 22 are post-doctoral fellows. Dr. Mouftah has served the Institute of Electrical and Electronic Engineering (IEEE) Communications Society as Editor-in-Chief of the Communications Magazine (1995-97), Director of Magazines (1998-99), Chair of the Awards Committee (2002-03), Director of Education (2006-07), and Member of the Board of Governors (1997-99 and 2006-07). Also, he is the founding Chair of two of IEEE Communications Society’s Technical Committees (TCs): Optical Networking TC (2002-04) and Ad Hoc and Sensor Networks TC (2005-07). He has been a Distinguished Speaker of the IEEE Communications Society (2000-07). Dr. Mouftah is the recipient of the 1989 Engineering Medal for Research and Development from the Association of Professional Engineers of Ontario and of the 2002 Ontario Distinguished Researcher Award of the Ontario Innovation Trust. He has also received 8 Outstanding/Best Paper Awards (2 at ISCC’2008; ICC’2005; CITO Innovators Showcase’2004; IEEE Communications Magazine in 1993; SPECTS’2002; HPSR’2002; ISMVL’1984), the IEEE Canada Outstanding Service Award (1995), and the CSIM Distinguished Service Award of the IEEE Communications Society (2006). In 2004 Dr. Mouftah received the IEEE Communications Society Edwin Howard Armstrong Achievement Award and the George S. Glinski Award for Excellence in Research from the Faculty of Engineering, University of Ottawa. In 2006 he was honoured with the IEEE McNaughton Gold Medal and the Engineering Institute of Canada Julian Smith Medal. In 2007 he was the recipient of the Royal Society of Canada (RSC) Thomas W. Eadie Medal. 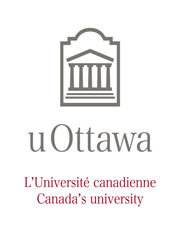 Most recently, Dr. Mouftah received the University of Ottawa 2007-2008 Award for Excellence in Research and the ORION Leadership Award of Merit (2008). Dr. Mouftah is a Fellow of the IEEE (1990), Fellow of the Canadian Academy of Engineering (2003), Fellow of the Engineering Institute of Canada (2005) and Fellow RSC: The Academies of Canada (2008). Mark A. Williamson PhD is Deputy Director General of the Centre for Security Science (CSS) Defence Research and Development Canada which is responsible for making strategic investments in Public Security S&T. This involves efforts to harness the intellectual capacity that exists across Canada’s federal science based departments and in creating linkages with industry, academia and the provinces and territories. Previously he was Director of the CBRNE Research and Technology Initiative which was initially set up to strengthen Canada’s preparedness for, prevention of, and response to a CBRNE terrorist attack through new investments in science, research, and technology capacity. Mark has performed and managed S&T activities across the academic, industry and government sectors. Throughout the 90’s he coordinated and led several multidisciplinary academic, industry and government initiatives that evaluated and assessed petroleum potential in Canada’s frontier basins. Before joining DRDC, Mark managed a portfolio of S&T programs within Natural Resources Canada including Natural Hazards, Climate Change, Marine Geoscience, Environmental Geoscience and Hydrogeology. Tony has had extensive management experience in both the private and public sector. Starting his working life as a quality control chemist for Fry-Cadbury’s in Dublin Ireland, he made the transition to sales and marketing in the pharmaceutical industry after his arrival in Canada, with experience in new product development. Switching to the academic world, he has been both teacher and administrator in the community college system and university. Tony has taught marketing, statistics, and organizational behaviour at both the college and university level. He has held senior posts in both academic and support services such as admission and registration. Tony joined NRC-IRAP in 1998 and took over his position as the Regional Director for Ontario in 2001. He has now been leading NRC-IRAP since September 2004. Kevin Wennekes, Vice President – Research, Canadian Advanced Technology Alliance (CATA) is responsible for developing and executing “impact” research projects for the advancement of the technology industry and Canadian economic growth. In his five years with CATA, Kevin has conducted over 30 different studies and personally published over a dozen research papers on topics including IT security, global sourcing and supply chains, developing a Canadian Brand, high performance computing, and procurement practices and reform. Kevin is also CATA’s Canadian Executive Champion for China and responsible for developing and executing trade and investment opportunities in collaboration with CATA’s office in Shenzhen. Kevin has helped in the development and execution of Canadian Pavilions at the China International Optoelectonic Exhibition in Shenzhen and the PTExpo in Beijing, and been keynote speaker for Canadian receptions and panel discussions including most recently, in the great Hall of the People during the China International High-Tech Expo. Kevin has planned, coordinated, and executed numerous forums, focus groups, partnership development series, and strategy sessions on topics including technology’s impact in health care, lowering enrolment in university and college science technology programs, global supply chains, and addressing national skills shortages. Kevin has frequently participated as a panellist and keynote speaker on CATA research initiatives nationally and abroad. Kevin has spearheaded the creation of various Canadian Pavilions at prestigious international events, which have been accomplished through the development and effective governance of solid private-public partnership models and practices. Kevin’s experience also includes: a partner position with an online survey and assessment firm; consultant in the organizational effectiveness practice for Watson Wyatt Worldwide; public relations and marketing specialist for Algonquin College; and media relations specialist for the National Museum of Science and Technology. Kevin is a guest professor of Algonquin College’s Public Relations program’s Research course, involving three in-class seminars a year and assisting in the delivery of key research curriculum outcomes. He is also an alumnus of the program (Honours) and sits on the Alumni Executive Steering Committee. Kevin has co-authored a book titled SUCCESS: How Canada's CEOs Create Global Competitive Success. The book, published in 2002, reveals the leadership skills and industry insights demonstrated by more than 100 of Canada's most influential CEOs as derived from personal one-on-one, in-depth interviews with them.